(AFP) - Ethiopian Airlines on Monday resumed flights to Moscow after a gap of 27 years stretching back to the demise of the Soviet Union, which saw relations with Moscow dive. "Moscow is a vital addition to our European service, a very important region. It's going to take our total number of weekly flights to European destinations to reach 54 passenger flights a week," said the carrier's executive director Tewolde Gebremariam as the first flight took off from Addis Ababa. Russian ambassador to Ethiopia Vsevolod I. Tkachenko welcomed the move. 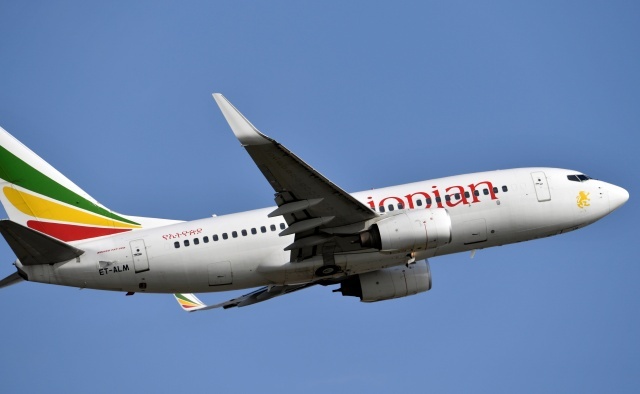 "I’m happy Ethiopian Airlines made a bold decision to re-start such flights because it will not only provide passenger flow, but also connect Russians with Ethiopian Airlines air services' global network" he told AFP. The carrier will fly three times a week to the Russian capital. Ethiopian Airlines which is 100 percent state-owned, is Africa's largest carrier. Addis Ababa airport has recently undergone a large-scale revamp as a major continental aviation hub in a country run until 1991 by a communist military junta -- a regime which received substantial Soviet support in the 1970s and 80s. Earlier this year saw a wing of a new $345 million passenger terminal at the airport, which is one of Africa's busiest. After the fall of the Soviet Union, ties between the two nations slid. But Russian Foreign Minister Sergei Lavrov visited Ethiopia last March and cooperation in several sectors, nuclear power included, have been discussed.